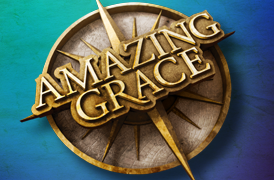 AMAZING GRACE is a world premiere musical based on the awe-inspiring true story behind the world's most beloved song. A captivating tale of romance, rebellion and redemption, this radiant production follows one man whose incredible journey ignited a historic wave of change. John Newton, a willful and musically talented young Englishman, faces a future as uncertain as the turning tide. Coming of age as Britain sits atop an international empire of slavery, he finds himself torn between following in the footsteps of his father — a slave trader — and embracing the more compassionate views of his childhood sweetheart. But when a perilous voyage on the high seas finds John in his darkest hour, a transformative moment of self-reckoning inspires a blazing anthem of hope that will finally guide him home. 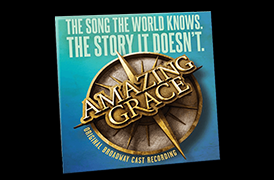 Brimming with emotion and adventure, AMAZING GRACE is an unforgettable musical saga that captures the spirit of history's sweetest and most powerful sound: freedom. Amateur and Stock Licenses are now available. Winner of 7 Tony Awards® including Best Musical, Annie - with Music by Charles Strouse, Lyrics by Martin Charnin, and Book by Thomas Meehan - makes its triumphant return to Broadway in a brand new production from Tony, Drama Desk and Pulitzer Prize-winning Director James Lapine. 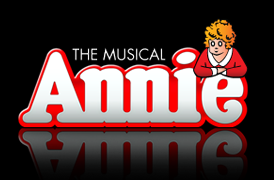 Annie will be produced on Broadway by Arielle Tepper Madover, Roger Horchow, Sally Horchow, Jane Bergére, Roger Berlind, Debbie Bisno, Roy Furman, Stacey Mindich, Nederlander Presentations, Inc., Daryl Roth in association with Christina Papagjika/Eva Price. 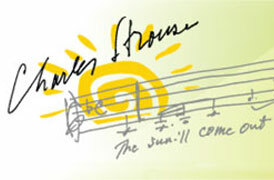 The music of Charles Strouse has touched the life of almost every American in the last half century. There may be no other living composer from America's songbook whose work is as integrated into the popular culture as that of Charles Strouse. His music has attracted top recording artists such as Barbra Streisand, Frank Sinatra, Tony Bennett, Bobby Darin, Harry Connick, Jr., Jay–Z, Louis Armstrong, Nina Simone, and Duke Ellington and his Orchestra.